Exiting like a mandala? | Jon Katz, P.C. Mar 19, 2010 Exiting like a mandala? 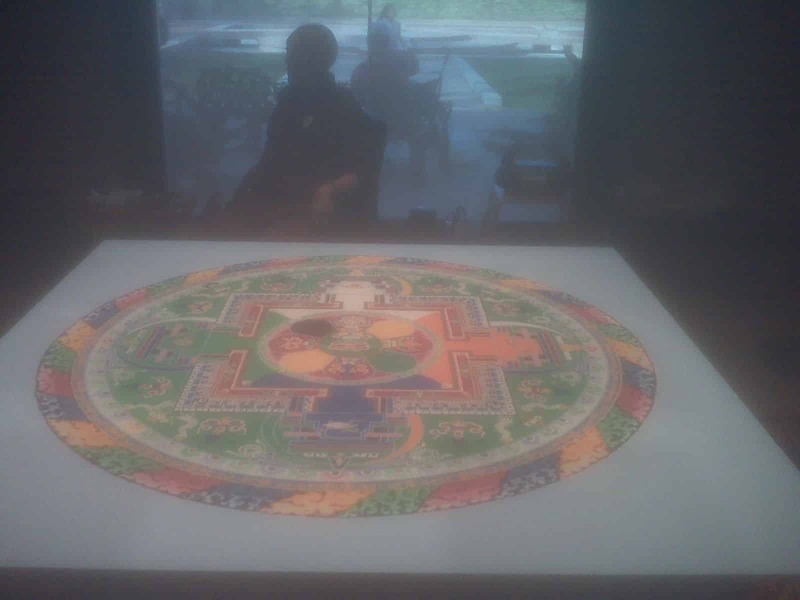 Just two days after posting this blog entry, I happened upon this monk and mandala at the Sackler Gallery. A ceremony is scheduled for March 21, 2010, at 11:00 a.m. to dump the remains of the mandala into or on the ground near the museum. Last week, my teacher, through his writings, Beop Jeong left his body. This week, it turned out that Beop Jeong’s will asks that his books not be published any further, “saying he does not intend to take what he called the ‘debt of words’ that he spread during this past lifetime to his next.” In so doing, his extensive writings became a mandala masterpiece that is dumped into the lake as soon as it is completed, signifying the impermanence of life. Beop Jeong’s words go beyond literary artworks to being important lessons about non-duality/non-attachment and of living harmoniously with the world. Yet one of the first things I thought about when learning of his will was how to get my hands on his writings before they become true rarities; that was my attachment talking.